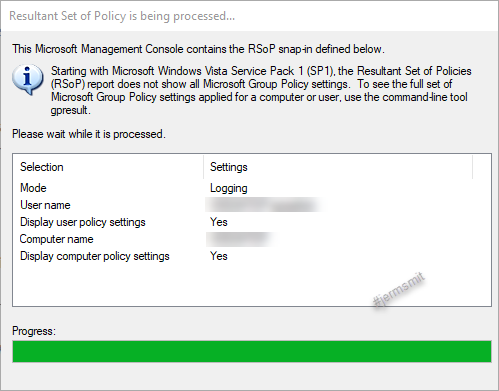 Playing a bit of detective, I started reviewing Active Directory Group Policies that had been applied to workstations, in an attempt to resolve a few reported concerns regarding polices being applied successfully. Only settings that have been applied to your machine and user account will show up. Oh! And yes there is Graphical Interface for this tool. A pop-up dialog will show while querying your system. Once the console opens you will be able to see which settings have been applied to your PC.